Give us the brief on various reasons behind starting Plancess EduSolutions. As the famous saying goes “Necessity is the mother of all inventions”, even we encountered a similar situation where we wanted reference materials while preparing for our Joint Entrance Exam (JEE). But the seed-thought came in when we were in third year of engineering at IIT and badly needed notes, specifically formulas that could be referred anytime, anywhere; but couldn’t find them, or rather would say that they were not available freely. This is when we thought that there is a necessity and a pain-point that need to be addressed and Plancess (formerly known as Eduplan) was born. The challenge we had in hand was to create quality content that could be accessed by IIT aspirants at the pace they want. The pace factor could have been facilitated by choosing an appropriate delivery medium, but creating the quality content was our core focus and we were very clear that this has to be done by the best, hence we collaborated with Top 100 JEE rankers and created one of the finest contents for JEE preparation. 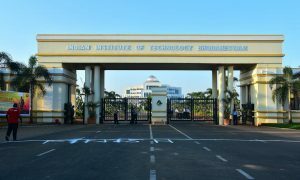 For our current product, JEE self-study package, on an average we cater to about 3.9 million candidates who wish to make it to the Indian Institutes of Technology (IITs), National Institutes of Technology (NITs), Indian Institutes of Information Technology (IIITs) and Other Centrally Funded Technical Institutions (CFTIs) etc. We wanted to provide a round-the-clock teaching assistant to students, which would help them address their doubts or reinforce their concepts with repeated clarifications. We have achieved this to a large extent through our quality content and various modes via which it can be consumed. Additionally, our products are affordably priced, without compromising on the quality of the content. This would help students achieve their IIT dream without any limitations. 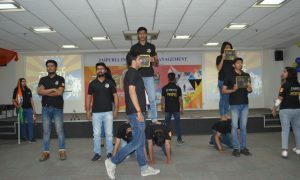 Currently we have a strong presence in IIT JEE preparatory arena. But we will not limit ourselves to this domain. 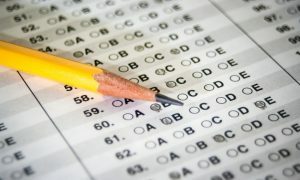 We have strong plans in place to cater to other competitive examinations in India as well. In the long run, we see ourselves to be a comprehensive educational conglomerate catering to a major chunk of student fraternity. Since its existence Plancess has come up with various initiatives to help candidates targeting JEE, one of the biggest is the city-wise seminars and one-on-one career counselling sessions. The year 2014-15 has witnessed quite a number of new initiatives; some are novel to the degree that they have been prefaced first time ever by any company in the online coaching sphere. We have partnered with Samsung to provide on-the-move-learning to JEE aspirants. JOTM (JEE-ON-THE-MOVE), a tablet based educational product, comprises of Plancess JEE complete course package. This includes everything you need to crack the exam. How you can differentiate your services from your competitors? Plancess always puts quality before business motives. Because of this we have reached such heights in a span of just four years. Our key differentiator in this business range is our product and service quality. We have always been very particular that all the content created and delivered should be by Top 100 JEE Rankers. What are the ways of engaging the customers with you? Share any Case study? We came into existence with a simple motive ‘assisting JEE aspirants’ in every possible way to have success delivered at their doorsteps. In this attempt, we have come up with JEE Mag – the Plancess Blog. Through this unique online magazine, we present students with comprehensive exam related details and preparation tips, exam trends, the inside scoop of placements, cultural events and life inside IIT campuses etc. We exist to alter the way students prepare for competitive examinations. Curriculum tells you what to study, Plancess tells you HOW you have to. With the product being focused to students, as of now, the focus is on education sector. However, as mentioned above, we will not limit our scope to just JEE. We are eyeing other entrance tests in the country too. Innovation and quality of content is what we strive for. By introducing various modes of content consumption we have ensured that the students have option to choose the best fitment for them. We understand the importance of being customer-centric and we are completely focused on creating and delivering products that match their needs and exceed their expectations.